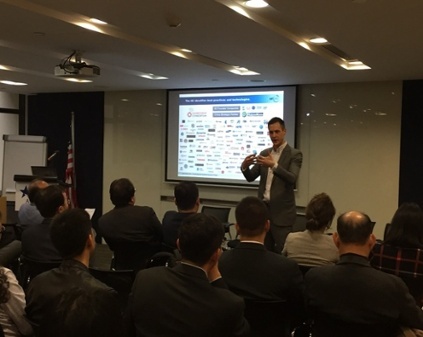 The AmCham Shanghai’s Technology & Innovation Committee held an event on Wednesday, March 22, 2017 on Intelligent Manufacturing in China: Lessons Learned from Early Movers. 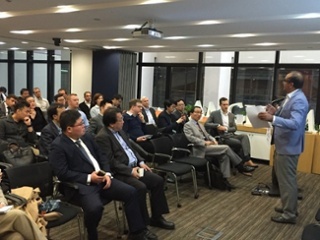 With a particular focus on IoT in manufacturing, the event covered how factories in China should start their IoT journey, identify potential opportunities, find the right technologies & partners, implement and execute their plans and build a business case/ROI for larger implementation. Also covered were template of a typical engagement model for IoT projects, issues expected along the way and solutions to overcome challenges. 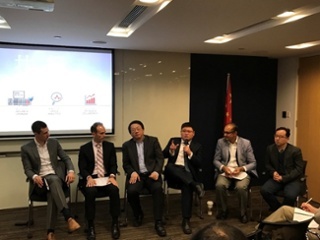 The speakers included Erik Walenza, CEO, Io T One and Chair of the Industrial Internet Consortium’s Smart Factory Task Group, Dr. Wen-Syan Li, SVP, SAP SE, Head of IoT SCM & Strategic Projects – APJ & GC, Jiangning Chen, Head of BaoWu group & Siemens Go to Industry 4.0 Project, Yonghong Wang, Founder and CEO, MXCHIP, and Bob Buttermore, Managing Director, Greater China, Rockwell Automation. 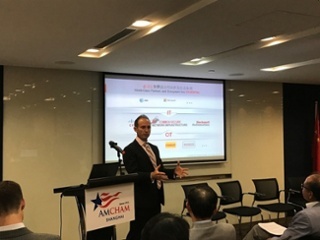 Dr. Hugh Rashid, Managing Director, Xavor Corporation hosted the event and panel discussion as Co-Chair of the Technology & Innovation Committee, Amcham Shanghai. Dr. Hugh opened the session by qualifying that Internet of Things (IoT) is a huge topic and that for the purpose this event the focus will be on Industrial IoT (IIoT) and how it can help advance China’s vision of Intelligent Manufacturing 2025. He mentioned that with the quality of speakers today, each can easily take an hour to share the wealth of their knowledge and experience on the topic and still not cover all the insights they can share. However, in the spirit of audience engagement, we asked the speakers to take 10 minutes each to highlight key points to warm up the audience, get their mental juices flowing and save the bulk of the time for the panel discussion and Q&A. Erik from IOT One kicked off the presentation by laying the overall IoT Architecture Framework developed by Industrial Internet Consortium and explained how it is driven by the business objectives that includes competitiveness, profitability, regulation, risk etc. As the IIoT evolves, one of the fiercely contested area between producers, services providers and intermediaries will be the ownership of data that is generated through the IoT solutions and the platform upon which the data will reside. When it comes to China, the biggest concern for industrial IoT is the uncertainty of ROI (lack of business case) and the legacy equipment in the factories that may need to be upgraded to take advantage of IoT solutions. Erik went on the explain how the Industrial IoT projects are different from traditional IT projects are have three broad phases that include Plan, Execute and Improve with multiple sub-steps under each phase. 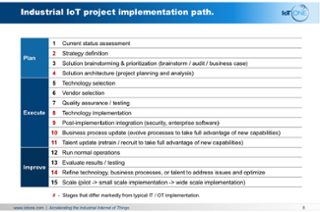 The two key steps that need particular attention in IoT projects is a clear strategic definition of the project and the ability to evaluate and refine small pilot projects before scaling up the implementation. This approach will provide greater flexibility and will also reduce the risk in inherently complex IIoT projects. Dr. Wen-Syan, who heads SAP’s IoT initiatives in Supply Chain Management and overseas Strategic Projects in greater China shared his insights on the differences in IoT initiatives between Europe and China. With over-capacity in the manufacturing sector, this does not have that much sense of urgency for efficiency optimizations in China. This is often the top driver for European firms. Also, the intellectual property ownership continues to be a challenge when working with Chinese customers and state-owed enterprises in particular. 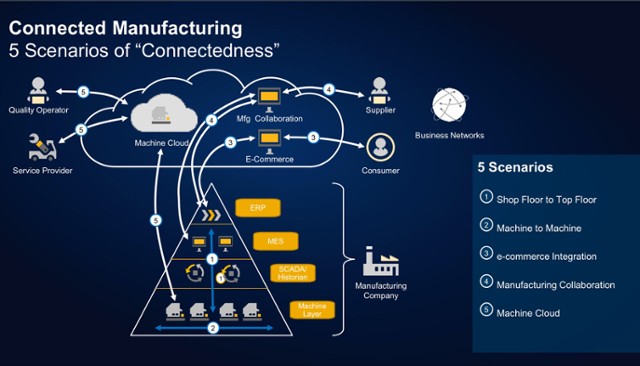 SAP’s connected manufacturing vision offers five scenarios that create a holistic digital ecosystem between factories, suppliers, customers and service providers. SAP already has several customer engagements underway that have shown promising returns for companies in various industries. Below is one example of how IoT is helping a Chinese construction company get a holistic real-time view of its entire ecosystem to drive efficiency, cost optimization and enhanced safety. SAP also has a unique solution called Global Track & Trace that has been adopted by leading firms such as Huawei, Bosch, Nestle and others. It provides real-time end-to-end visibility throughout the logistic chain. 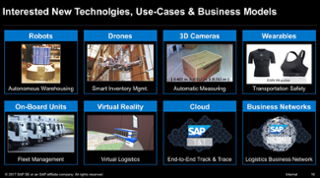 In addition, SAP is investing heavily in implementing various use cases and business models to make new emerging technologies relevant in the context of manufacturing and supply chain management. Many of these use cases are being piloted with strategic customers globally and are also being showcased at the recent CEBIT conference in Germany. Mr. Jiangning Chen, who heads BaoWu & Siemens “Go to Industry 4.0 project” shared his insights on what it takes to design and manage a complex Industrial IoT project. 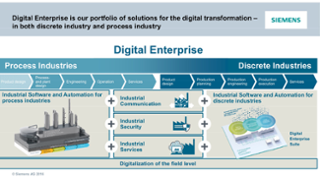 Mr. Chen started with an overview of Siemen’s vision for Digital Enterprise (both for Process as well as Discrete Industries). Implementing an IIoT vision with a customer requires a very different approach than traditional projects. Firstly, such projects need to be driven from the top leadership and require a clear long-term strategic blueprint. The vision needs to be broken down into smaller pilot projects that are designed to give short-term benefits. They need to be able to fit into a large picture of digital transformation to Industry 4.0 through industrial IoT technologies. In the case of Siemens and BaoWu group (formerly Baosteel), not only the CEOs of the two companies signed an MOU but the government leaders of Germany and China also needed to be kept aware of the progress since this project has a broader implication for technology & innovation partnership between German (Industry 4.0) and China (Intelligent Manufacturing 2025). Due to the sensitive nature of the project and non-disclosures, the project details cannot be shared. Both sides are moving forward with a flexible approach to push the technology limits and make necessary adaptations to overcome any hurdles and challenges that come naturally with new and complex technologies. Being a pioneer in adopting Industrial IoT, BaoWu group wants to make the investment to gain experience and expertise. Next, they would like to influence the whole ecosystem to move towards the Intelligent Manufacturing 2025 vision by showcasing its successes, business results and reduce the barrier for others to embrace intelligent manufacturing. Yonghong Wang, CEO of MXCHIP shared the journey of founding a Chinese IoT Chip company that has carved its niche in the industry and has grown rapidly over the last 10 years. In 2014, Alibaba also made a strategic investment to further fuel its growth. MXCHIP has over 150 employees worldwide and now has over 1000 customers. Their chips are being used in over 10 million devices. 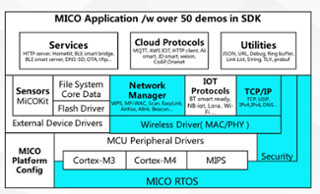 Besides communication modules, MXCHIP has also developed an IoT operating system that is unique in the industry and provides a modular light-weight architecture for rich functionality at the edge closer to the smart assets and devices. With its FogCloud solution, MXCHIP plans to offer all the critical components to enable intelligent low-cost solutions for China’s factory environment as well as national requirements for Smart City solutions. Bob Buttermore, Managing Director Greater China for Rockwell Automation, shared his insights regarding Rockwell’s vision of Connected Enterprise. At the lowest level, it integrates smart connected assets into the overall secure digital architecture of the enterprise offering domain-specific business services. 1) Assess & Plan: Create a strategic roadmap and plan of where the company wants to go with its connected enterprise vision. 2) Secure & Upgrade: Making sure the assets that will be connected to the digital platform are highly secure and operationally ready for the new IoT enabled technological environment. 3) Data & Analytics: Make it easy for the customer to make sense of the data and gain insights regarding its smart assets. 4) Optimize & Collaborate: Make real-time decisions to adjust and optimize smart assets and collaborate inside and outside the organizational boundaries to manage the entire value chain. 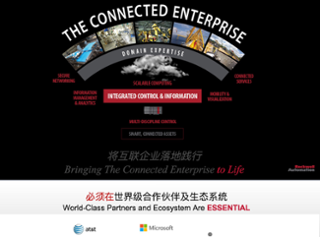 Rockwell Automation plans to build a world-class ecosystem of partnerships to deliver the vision of connected enterprise by closely working with leading technology and communication companies like Microsoft, AT&T and others. Industrial IoT solutions will generate a huge amount of data that will be very valuable. Whoever owns the data will be in an important position by using Machine Learning & Analytics. Three obvious choices are the customer, partner or intermediary who is providing the services to integrate the solution or manage the data in the cloud. The regulations for Industrial IoT are still evolving since this is a fairly a new area for governments all over the world. 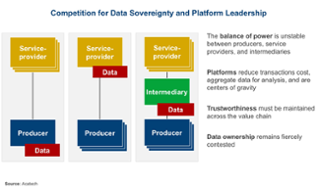 Where the actual data resides is going to be one area where regulations are likely to emerge as countries put restriction on cross-border data movement and create rules governing where the original data must reside. Third party cloud providers are sensitive to this and they are coming up with offers to give customers flexibility on how and where they want the IoT related data to reside and be managed. Companies like Cisco, Microsoft, Intel and others are also looking to enter the industrial IoT space and we are likely to see competition between the tech giants and the traditional industrial automation firms like Rockwell, Honeywell and Siemens. Of course, there are also partnership opportunities as they bring their strengths together to over a complete integrated IIoT solution to customers. Large industrial automation giants are focusing on areas of industrial IoT that leverages their historical strengths and gives them maximum growth opportunity. This however still leaves large white spaces for startups to exploit as opportunities. One area of high potential is the data analytics and machine learning that can make sense of the ocean of data the typical IoT implementations will generate. This sense-making will require deep context based on industry knowledge and business scenarios which deliver actionable insights to customers and niche startups. They will be in a good position to exploit this market segment of IIoT. 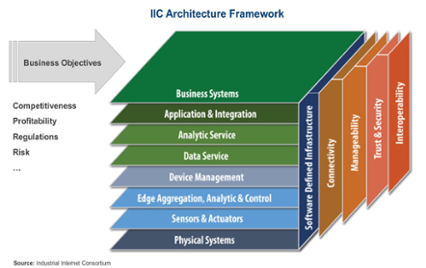 Typical industrial IoT projects are complex with many “moving parts”. No one company will be able to offer a complete solution and will need to integrate and cooperate with other technology partners and integrators. A factory that is starting such a project needs to be prepared to the challenge of having to deal with multiple speciality players who are experts in their area but weak in other aspects. There is an opportunity for a new type of system integrator who will fill this void and provide a “general contractor” model to insulate the factory for having to deal with multiple partners who point fingers at each other when things don’t work as expected. API & Machine Learning: API’s allow you to get to the data without worrying about the inner workings of the equipment or sensors while Machine Learning is about making sense of the huge amount of data once collected. Technology companies needs to make sure their IoT enabled devices have simple and powerful APIs that are standards based so others can easily integrate their technologies into the overall solutions. Machine Learning has to evolve to be more domain sensitive so that the insights can be deeper and relevant for the businesses to get value in gaining not only efficiency but also creating new business models. Strategic vision from the top leadership: Jiangning from Siemens shared how it is critical for IoT projects to have support from the top leadership of the organization. In fact, in the case of Siemens and BaoWu group pilot project CEO’s of both the companies agreed to a shared strategic vision that drove all the critical downstream project decisions. The project has even higher significance since both the government of China and Germany have expressed interest in the outcome of this project and want to make it a showcase of benefits of embracing IoT to support China’s Intelligent Manufacturing 2025 vision as well as Germany’s Industry 4.0 vision. 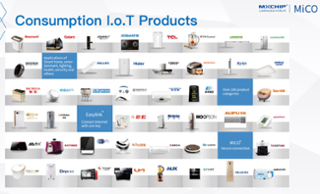 Erik from IoT One shared his online portal that catalogs hundreds of vendors and technologies which make up the IoT ecosystem. The portal also captures various guides and use cases that can help companies better understand and learn from the experience of others as well as find partnership and collaboration opportunities to enable complex solutions. Industrial IoT projects require a new approach to solution implementation. Besides the project approach, it also requires system integrators to combine the hardware and software experience together to enable the solution. Typically, the industrial automation firms have lacked the depth in software areas while traditional software system integrators have lacked expertise in industrial equipment and automation. To enable an IoT solution, these two type of firms either need to partner or develop expertise in their non-core areas. This makes it critical for customers to manage the risk by ensuring the implementation team has all of the required competencies and skills needed for the IIoT project. Before factories can go about implementing Industrial IoT solutions, it is important to upgrade and secure their existing high-value assets that will be part of the solutions. The older factories will need to pay attention to this step to make sure that the base environment is secure and ready for the new technology platform. Without this being done properly, not only the project will likely fail but the company will also expose its high-value assets to outside threats of intrusion. Bob from Rockwell Automation pointed this out in their approach of engaging with customers. Before embarking towards an Intelligent Manufacturing journey, a clear long-term strategic vision is critical to enabling the internal teams and external partners to design pilot projects and a flexible iteration cycle strategy. Most likely there will be speed bumps and challenges that will require adaptation of the project. Without a clear strategic blueprint guiding the effort, projects can quickly get out of hand and move in a direction that eats up costs and fails to deliver any benefits. Industrial IoT projects are different from traditional software or hardware projects. In fact, they are a hybrid with unique components which require a different approach and can be new for most companies and partners. In addition, this was covered in the IOT One presentation as well as the discussion regarding the Siemens-BaoWu group project. Mr. Jiangning Chen from Siemens shared that it is critical that Industrial IoT projects start with a top-level relationship between the customer and technology partner. Since the nature of the technology and project approach is different and new with long-term benefits downstream into the future, the top level relationship ensures that project momentum continues and both parties remain flexible in advancing the project to milestones that can form a solid foundation for future iteration and project cycles. Intelligent Manufacturing 2025 vision and Industry 4.0 vision are a high priority for both China and Germany. Mr. Jiangning Chen shared how their Siemens-BaoWu group project updates go to high-level government officials of both China and Germany who are looking for visible and successful examples that can showcase the collaboration on technology & innovation between the two nations. We are likely to see more of such catalyst projects in different industries to build a critical mass of successes with industry anchor firms who can later influence the whole ecosystem of downstream factories in the supply chain. The benefits of Industrial IoT will come when not just large factories but also small and medium factories which are part of the supply chain are able to integrate into the overall Industrial IoT value chain. To support the SME sector, who may not have the skills or financial resource to make this leap, there are some intermediary IoT enabled factories that are providing a service to help the SMEs with legacy factories connect into the supply chain of their customers. These intermediary services can help traditional factories to participate with larger factories which are modernizing their IoT platforms. 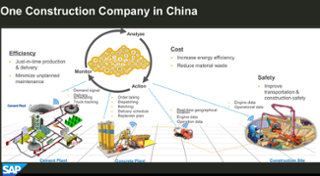 Erik mentioned a German firm offering this service near Shanghai to several smaller factories already. Industrial IoT is not just about cost saving and efficiency. Some factories are using it to enable new business models that highlight their flexibility and adaptability with customers using real-time data generated through the smart assets in the factory. 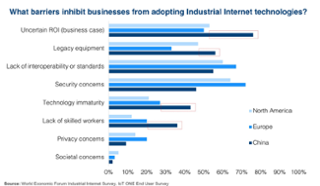 This trend is likely to continue, especially in China, where cost efficiency is yet not the main driver for IIoT but factories do want to offer new high-value services to customers and differentiate themselves using their modern technologies and business models. To fully leverage the benefit of industrial IIoT, it is important to view the automation in context of the whole value chain that includes customers on one side and suppliers on the other. This type of vision will take a few years to fully realize so initially the pilot testbed projects underway often involve factory centric efficiency and optimization. Larger factories want to use the experience from these internal testbeds before they expand the footprint and integrate customers and suppliers. Wen-Syan from SAP shared five such scenarios that capture this vision. China is encouraging local companies to create core chips and related technologies that enable IoT solutions that are price competitive and meet the unique local requirements. MXCHIP is one company that has grown rapidly and has won industry recognition and awards. The Chinese government has given policy direction to all provinces to encourage local companies to enter the high-tech chip industry. Of course, not all will succeed. The commitment from the central government is clear since it is backed by billions of dollars in funding to make sure that over the next decade as Industrial IoT and Intelligent Manufacturing becomes a mainstream reality, it is powered by significant components of technologies that are developed and provided by local Chinese companies. This local momentum is also creating lot of opportunities for foreign companies to form joint-ventures, sell hardware, software and license technologies but Intellectual property protection still appears to be a barrier in working with local Chinese firms. Industrial IoT offers a huge potential in helping China realize its Intelligent Manufacturing Vision 2025. But the potential rewards will not come easy as the technologies are still evolving, are highly complex and require a diverse set of partners to work together to enable a solution. The potential benefits not only include efficiency and cost savings but also include the possibility of entirely new business models that have the potential to disrupt not just competitive landscape but entire industries. Companies need to start thinking about this digital transformation in their manufacturing facilities as a strategic initiative driven by top leadership. The strategic blueprint should drive their selection of technology partners who are prepared to jointly march forward incrementally one milestone at a time, delivering short-term benefits but keeping an eye on the long-term vision of Intelligent Manufacturing 2025 and Industry 4.0. This is unchartered water for everyone involved so flexibility and adaptability will be critical in all areas. Failures and setbacks are bound to occur. Good project design will ensure even failures lead to valuable insights to let projects evolve and continue toward future successes. Early movers will have an advantage to become industry leaders and influence the whole industry ecosystem which is why top Chinese firms, with the support of the Chinese government, are moving forward with various testbed pilot projects. However, due to industrial over-capacity and the lack of clear business drivers with cost/efficiency not being high on the agenda, broader adoption of Industrial IoT still appears to be in the distant future (about a five year horizon according to our expert panelists). Erik Walenza, as the CEO, IoT and Chair of the Industrial Internet Consortium’s Smart Factory Task Group, works with IIC members to reduce the cost and risk of becoming an early adopter of Industrial IoT technologies. Eric has a passion for researching the Industrial Internet (Industry 4.0). In addition to running IoT ONE, Eric is an active member of the Industrial Internet Consortium and Director of Startup Grind’s Shanghai chapter. He is very active in China’s innovation ecosystem. Dr. Wen-Syan Li is SVP, Head of IoT SCM & Strategic Projects – APJ & GC, SAP SE. His team works on IoT SCM new applications like SAP Global Track & Trace, SAP Transportation Resource Planning, etc. 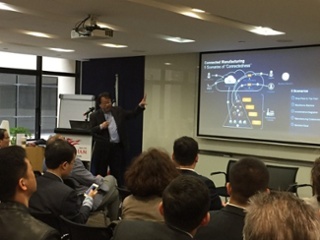 He also focuses on the IoT strategic engagements with Huawei, NTT and etc. in APJ & GC. Additionally, his team is also responsible for building predictive analytics capabilities in SAP’s in-memory database HANA. Before joining SAP, he was with IBM Almaden Research Center in Silicon Valley; he was the winner of the 2007 IBM Research Award and 2004 Best of CeBIT America Award in Enterprise Software. Jiangning Chen is Head of BaoWu group & Siemens Go to Industry 4.0 Project (Metal), Siemens Corporation Technology. Mr. Chen has worked at Siemens in the last decade, and held many positions in the DF&PD division, such as GM System integrator management, head of sales excellence, head of Competence Center, etc. Before joining Siemens, Mr. Chen was GM of IRM group in China. Yonghong (Bill) Wang, the founder and CEO of MXCHIP, has more than 10 years of experience managing embedded systems for industrial and consumer applications. Founded in 2004, MXCHIP started as an embedded software and hardware provider that enables corporate clients to upgrade their products. Later, the startup shifted its business to embedded wireless module products and internet connectivity operating systems. Bob Buttermore, Managing Director, Greater China, joined Rockwell Automation China in January 2016. He is responsible forRockwell Automation’s businesses in China, Taiwan and Hong Kong with approximately 2200 employees. Rockwell Automationhas a broad footprint in China with 34 offices, 2 manufacturing facilities, Research & Development Center, Software Development Campus, and three distribution centers. Before taking up his current role, Buttermore was the Regional Director for Rockwell Automation Southeast Asia for three years. 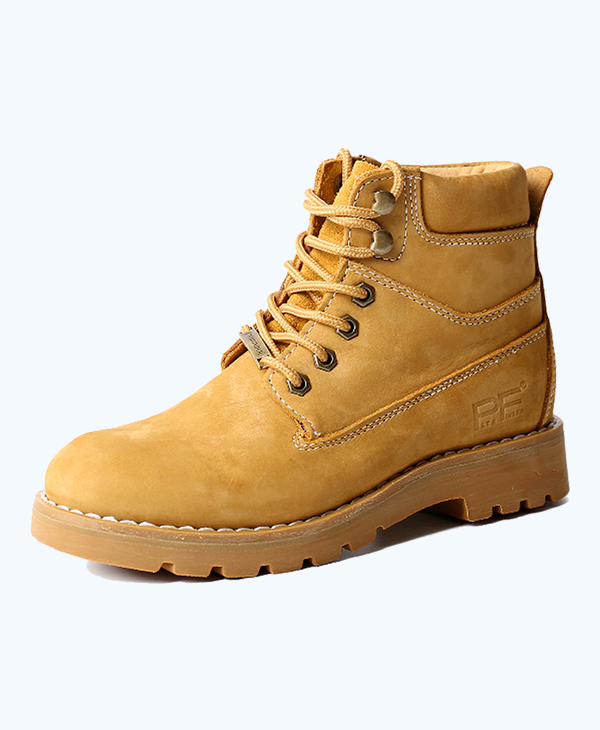 Buttermore was responsible for sales, marketing and business operations in ASEAN countries. He has done an outstanding job growing Southeast Asia, exceeding the business goals, and providing general management and oversight of all business operations as well as business compliance, succession and key talent development. 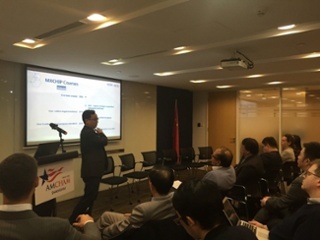 Amcham Shanghai’s Technology & Innovation Committee addresses current trends in innovation & technology across industries, communities and geographic boundaries. It is focused on emerging technologies, disruptive business models, approaches to innovation, the regulatory environment in China and advocacy. It provides a platform for cross-industry exchange of ideas, insights and opportunities for AmCham members to better understand Chinese markets, companies and consumers. It uses a combination of practical workshops, case studies and thought leader perspectives to help our members stay ahead of the future. Dr. Hugh is a practitioner-scholar with over 25 years of experience working and consulting with global organizations in the US, Europe and Asia in areas of IT-enabled business innovation. Currently, he is heading the Xavor China operations (based out of Shanghai) to facilitate product innovation ecosystem development between multi-nationals and startups in US and China. Dr. Hugh maintains a strong network of university collaboration in the US and China through his MBA teaching of courses in Design Thinking & Design-Driven Innovation, Cross-Culture Management and International Marketing at various universities including University of Southern California (USC), Wuhan University, Chongqing University, Beijing Normal University, Peking University, Renmin University and Fudan University. In addition, Dr. Hugh is also the founder of Xavor Corporation, which provides innovative business solutions to high-tech organizations. He has a BBA from University of Texas Austin (USA), Executive MBA from University of California at Irvine (California) and Doctorate in Management from Case Western University in Cleveland, Ohio (USA).